The Perfect Two Week Holiday in Brazil? 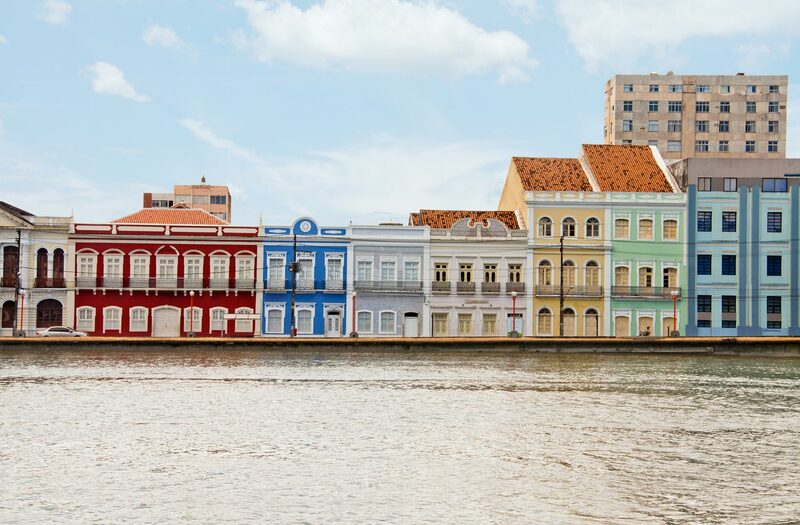 Most people will agree that much of what is best about Brazil: the beautiful beaches, amazing wildlife and stunning cities, can all be enjoyed in the southern 'cone' of Brazil. If you like, it's Brazil in a nutshell! These Brazil holidays start in Rio, where you'll visit the famous Christ statue and see the dry Atlantic Rainforest as well as visiting a slice of colonial history in the imperial summer capital of Petropolis, with its Crystal Palace and lovely colonial architecture. 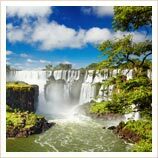 You'll then travel inland to the breathtaking Iguazu Falls, before a trip into the stunning Pantanal wetlands, which are the best place for enjoying wildlife in the whole of Brazil. "You are very good at what you do, so just keep on doing the same and I would recommend you to anyone." 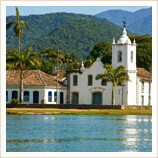 You’ll land in Rio on an evening flight as you begin your holiday in Brazil! We’ll be there to meet you at the airport and drive you to your hotel in the stylish Copacabana area of the city - once you’re settled in, you might want to take a walk along the waterfront or take in an evening meal on your first night here in Rio. Of course, since this is your first night on holiday in Brazil, Copacabana is a great place for a night out if you’re feeling up to it. Corcovado and Sugarloaf are undoubtedly the highlights of Rio, but there’s plenty more to explore so if you’d prefer another tour today then just let us know! The nearby colonial city of Petrópolis is worth a visit, as are the botanical gardens or the Maracanã Stadium, especially for football fans! Other tours include: a full day trip to the beautiful Buzios peninsular; favela tours; hiking tours; boat trips; helicopter rides; and open-top jeep tours. For an added taste of adventure on your Brazil holidays, how about taking a white-water rafting trip on the Rio Iguazu? 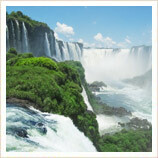 Or if wildlife is your thing, why not arrange a short trek in the Iguazu National Park? 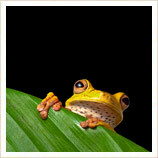 Get back to nature by adding on some time in the Amazon jungle. Just a flight away from Rio, Salvador, Sao Paulo, and most major cities in Brazil are a range of fantastic jungle lodges where you can immerse yourself in the full rainforest experience (in comfort!) with our experienced local guides. If you’d like a beach break with a side order of colonial culture, then a great choice is the small colonial town of Paraty. Nestling on the Atlantic shore, this small town was originally a shipping town for Brazil’s gold mines and is graced with lovely colonial architecture but the grand houses and cobbled streets are filled with cafes and galleries these days, while the coast around is dotted with secluded coves with warm clear waters and golden sands. This place is all about relaxation, so how you spend your time here is entirely up to you – you can enjoy the delights of Paraty itself, or even catch a boat around the coast to enjoy your own slice of tropical paradise. The North of Brazil is an amazing place to visit, yet few tourists make it up this far. 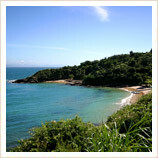 You’ll land in the city of Recife, and we'll pick you up and take you to the stunning beach nearby - Porto de Galinhas. Porto de Galinhas is consistently rated one of the best beaches in Brazil, if not the world, and you can spend your time here relaxing and swimming at the beach, enjoying some of the finest Brazilian Cuisine, or even taking in a spa treatment or two. However you choose to spend your time here, it’s sure to be relaxing and something you’ll never forget. Our standard price for these Brazil holidays is £2650 per person, which is based on two sharing a double or twin room in our standard hotels. That price includes all your accommodation, internal transport, transfers, tours, guides and entrance fees. It also includes all your meals in the Pantanal, and breakfast every day.